A former FIFA executive committee member was accused Sunday of making $5 million in payments to senior football officials in return for support of Qatar's 2022 World Cup bid. A former member of FIFA's executive committee was accused Sunday of making payments totalling $5 million to senior football officials in return for support for Qatar's successful bid for the 2022 World Cup. British newspaper The Sunday Times said it has obtained millions of secret documents proving that Mohamed bin Hammam, a Qatari who used to be FIFA vice-president, was lobbying on his country's behalf ahead of the vote in December 2010. Under a front-page headline of "Plot to buy the World Cup," the newspaper alleged that bin Hammam made dozens of payments to top football officials in Africa as well as Reynald Temarii and Jack Warner, the former FIFA executive committee members for Oceania and CONCACAF. The allegations come less than two weeks before the start of the World Cup in Brazil and bring fresh scrutiny on the 2010 vote, which awarded football's biggest tournament to the tiny desert state and currently is under investigation by FIFA's independent ethics prosecutor. The Sunday Times said that bin Hamman declined to respond to the allegations and that members of Qatar's bid committee denied any link to the former FIFA official, saying he played no secret role in their campaign. Qatari organizers did not immediately respond to The Associated Press' request for comment. Bin Hammam, one of the most controversial figures in FIFA's recent history, is no longer a committee member of world football's governing body after being caught up in a corruption scandal surrounding his failed campaign for its presidency in 2011. The Sunday Times is alleging, however, that he exploited his position at the heart of FIFA when he was an executive committee member to help to secure votes from key members of its 24-man ruling committee that helped Qatar win the right to host the World Cup. Qatar defeated bids from the United States, Japan, South Korea and Australia. According to the newspaper, bin Hammam used 10 slush funds controlled by his private company and cash handouts to make dozens of payments of up to $200,000 into accounts controlled by the presidents of 30 African football associations who influenced how the continent's four executive members would vote. He also allegedly hosted lavish junkets for these African officials at which he handed out almost $400,000 in cash. The newspaper says the documents show that bin Hammam paid out at least 305,000 euros ($415,000) in legal and private detective fees for Temarii after he was suspended for telling undercover reporters that he had been offered $12 million for his vote. Bin Hammam's help allowed him to appeal the suspension and prevent his planned replacement from voting for Australia in the vote, the Sunday Times claimed. Bin Hammam is also accused of funneling more than $1.6 million directly into bank accounts controlled by Warner, including $450,000 before the vote. Warner resigned from football duties, including his 28-year membership of FIFA's committee, in June 2011 to avoid investigation in a bribery scandal linked to bin Hammam's campaign for FIFA president. 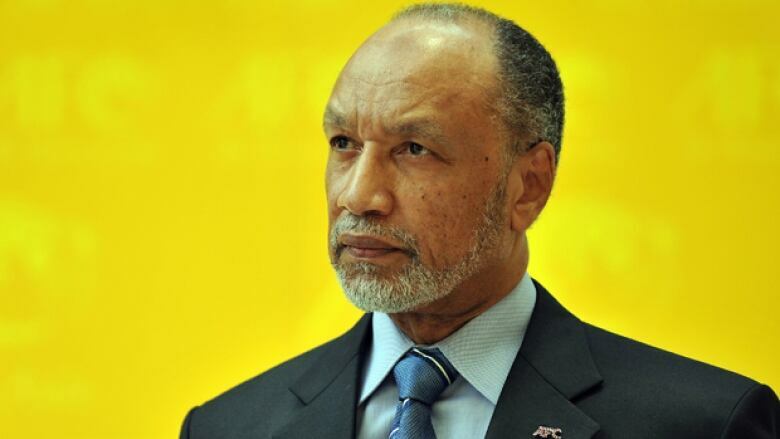 The Sunday Times also said bin Hammam paid $800,000 to the Ivory Coast Football Association, whose executive committee member Jacques Anouma agreed to "push very hard the bid of Qatar," and signed off on two payments of $400,000 each to the federations of two other voters.